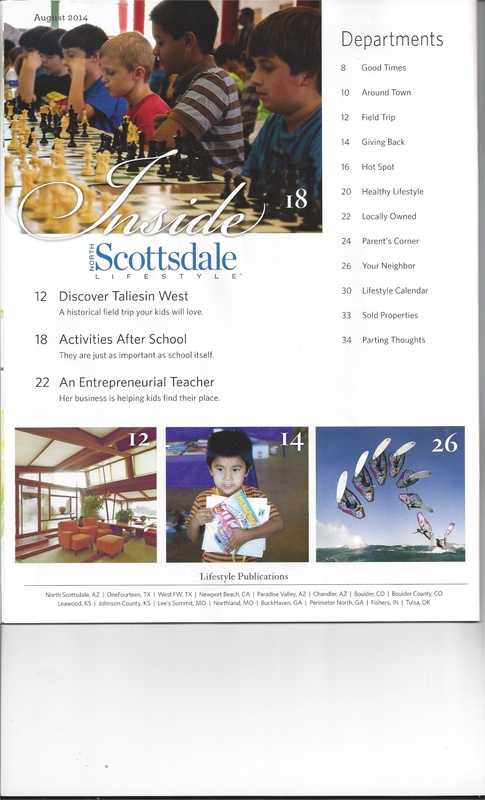 Just a sneak peek at the August 2014 issue of North Scottsdale Lifestyle Magazine pages where ASC was recognized! I couldn’t wait to share. The online issue will be available August 1st, I believe. Be sure to check it out as there are great back to school tips for families. 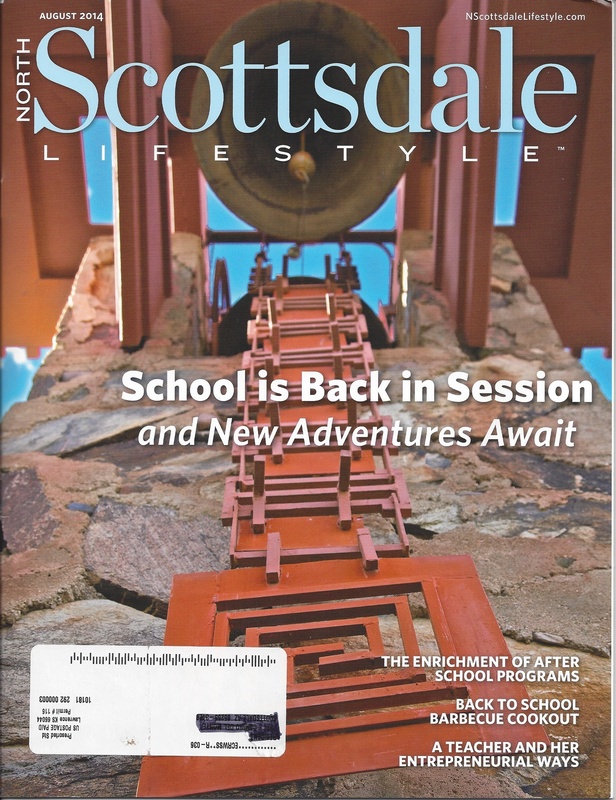 See www.nscottsdalelifestyle.com. Of course, back-to-school magazine issues always bring me back as a mom to the weeks just before school started each Fall. I noticed yesterday many families shopping for school supplies, and probably college-dorm supplies. It took me back instantly to the moment in time, not too many years ago, and the emotion I felt as a mom with my daughter and son heading off to preschool, then elementary, middle school, high school and college. Also recalling the building excitement I had myself, as a child, walking into The Dime Store with my list of needed supplies, then limited to maybe ten items, with Crayola crayons being at the top of the priority list. Then, fast-forward to the 22 consecutive years of school supply shopping I did with my own two children from age two to twenty-two for preschool through college. Certainly they did most of their own such shopping as teens and young adults, but I was usually invited along for at least one or two stops a long the way. No longer are the lists limited to ten items, and as schools need more and more of our help to provide the supplies the children will need for the year, families fall into line at the check-out counter with piles of paper, markers, thumb drives, glue sticks, pencils, and more. I can’t wait for this tradition to be passed along someday to my yet-to-be grandchildren! And, maybe, just maybe, if I’m lucky, I’ll be asked to go along for school supply shopping just before it’s time to go back to school. All Schools Consulting (ASC) is a PS- Grade 12 school search company serving the State of Arizona and based out of Scottsdale, Arizona. 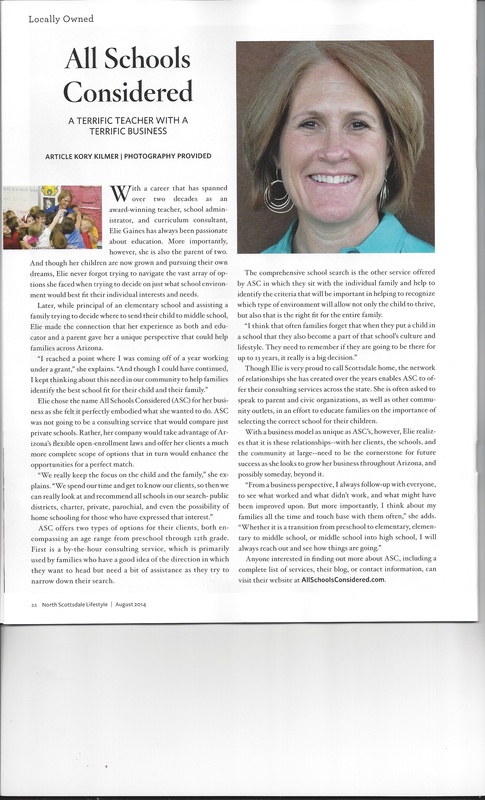 Elie Gaines is a School Search Consultant for ASC advising families on how to find the best school fit for their child and family- considering district, charter, parochial, private and home school options – in a State with one of the most flexible open enrollment policies in the United States.